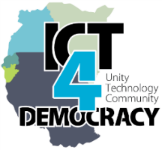 Participants of the consultation meeting on the Information and Communication Technology (ICT) policy have called for government to change the name of the ministry of information, communication and technology (ICT) because it was confusing. One of the participants Sipho Dlamini said ICT fell under Science and Technology and the ministry needed to be renamed. However, he did not come up with a suggestion.